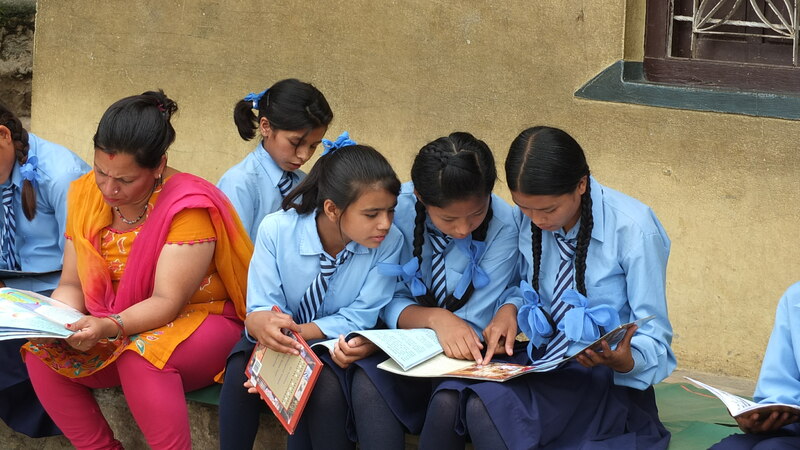 In Nepal, there are very few books in most Nepali schools, especially picture books. Libraries are pretty rare too. 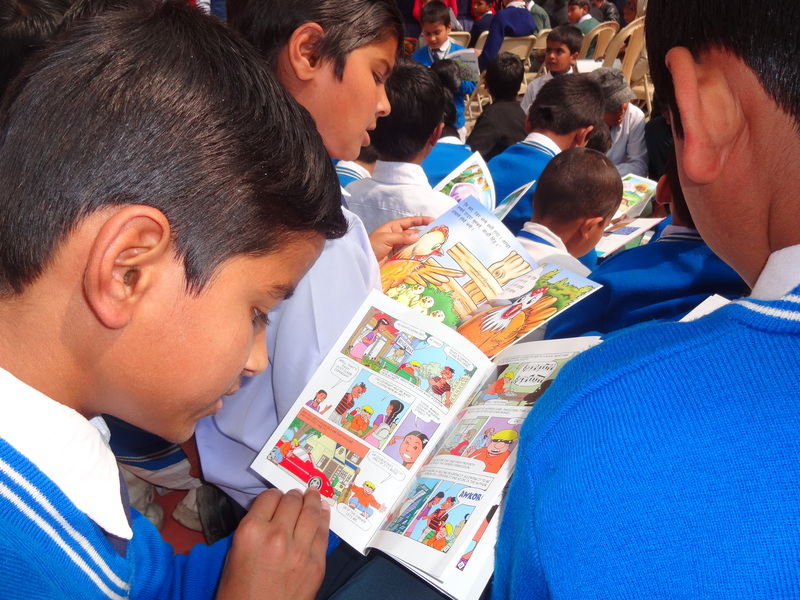 These kids aren’t just reading, they are experiencing color picture books for the first time. Even the teacher is hooked! See here for other New experiences.